Hi, and thanks for checking out my blog, POCGamer. You may be wondering a bit about me, so here we go. My name is Graeme, and I’m a Black nerd, a blerd even. 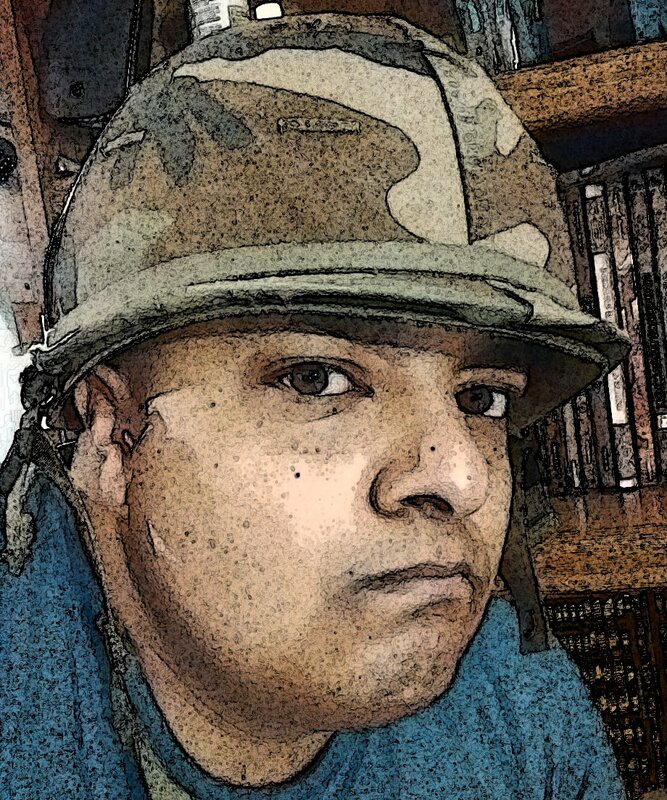 Online, I’m PzLion or PanzerLion; and I love Dr. Who (classic and new), Robotech, Warhammer 40k, anime, comic books, graphic novels, old school video games, and when I have the time, I’m an avid player of tabletop roleplaying games. I’m creative to some degree, and have built campaign settings for friends, dabbled in fanfic and SF&F short story writing, and all the time trying to break out of the Eurocentric mode these genres and activities seem to be stuck in. You see, I’m a person of colour (POC). To be specific, I’m a mixed race individual with roots in the UK (mostly Scotland) and Kenya. I was born and raised in British Columbia, where, mercifully, overt acts of racism aren’t common in my experience; although racism is still an issue facing the province. When I’m not doing this, I’m writing, spending quality time on the range or underwater, working my day job, and spending time with my lovely missus, daughter, and our two cats. On the academic side, I have an Associate Degree of Arts in Environmental Studies and an Advanced GIS Certificate. This blog is my second, and is my 2¢ in the battle against racism and sexism in science fiction and fantasy gaming, literature, media and culture. It was spurred on by two events in recent history. One was the repugnant actions (intentional or not) of Wizards of the Coast, who, for no sound reason, annihilated around 50% or so of the Black cultures (and rendered several other non-white cultures as nearly impossible to play without great creative effort) in their 4e Forgotten Realms setting. The other was the debacle at the SFWA, where racism and sexism reared their twin heads in such an overt manner and in such appalling crudity that it left the SF&F community with an ideological schism. Obviously, I’ve chosen to side with N.K. Jemisin; bigotry and racism are unacceptable socially and professionally. So here we are. I’m writing a blog about my gaming experiences, racism in SF&F (in all its many formats and forms, with an emphasis on games and game culture), and working on a setting for tabletop gamers looking for something a bit more nuanced than what you’re likely to find elsewhere.